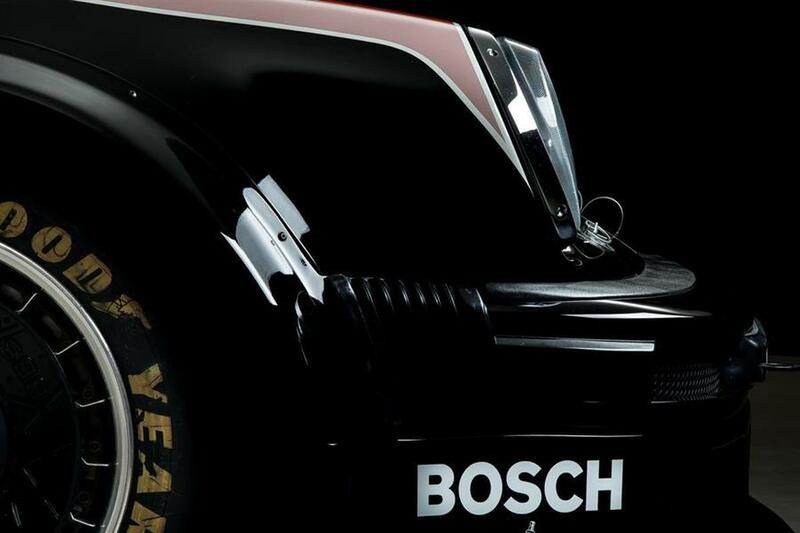 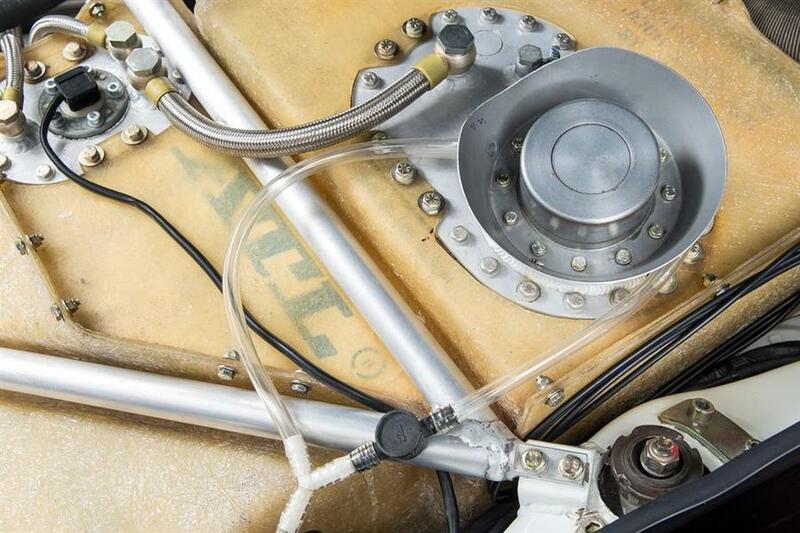 In the late 1970's the technology of racecars was changing very fast. 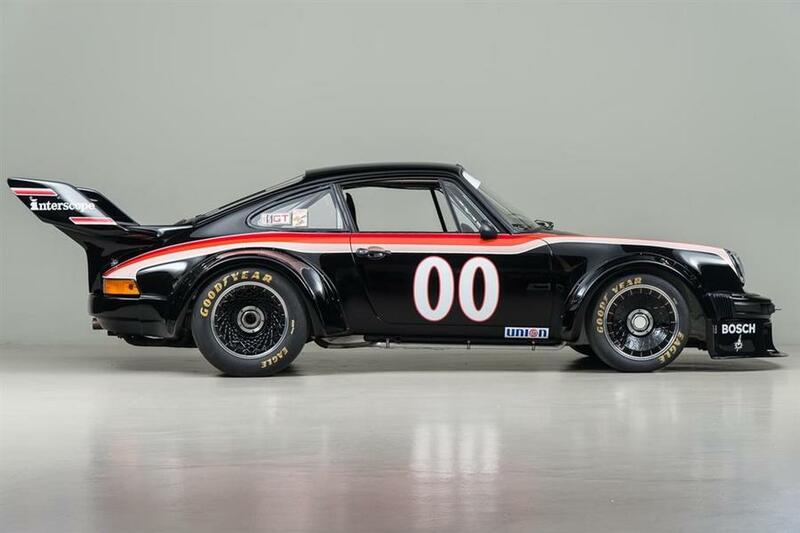 Racing organizations such IMSA were re-writing rules to allow new cars to race and owners were putting a lot of pressure on the factories to supply them with the latest evolution as fast as possible. The Porsche 934 and in particular this 934 1/2 is a prime example of the intense competition in world sports car racing at that time. 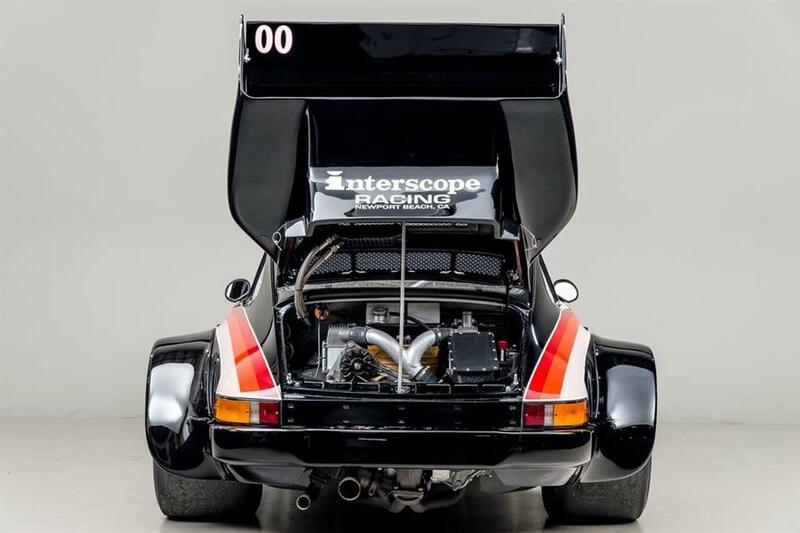 Porsche's street car, the 911 Turbo, was reconfigured for racing in two FIA categories; as the 934 for Group 4, and as the 935 for the faster Group 5. 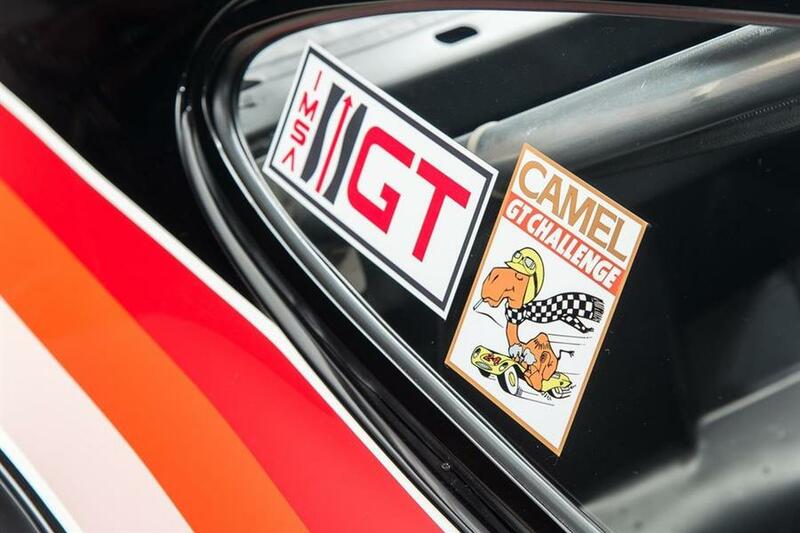 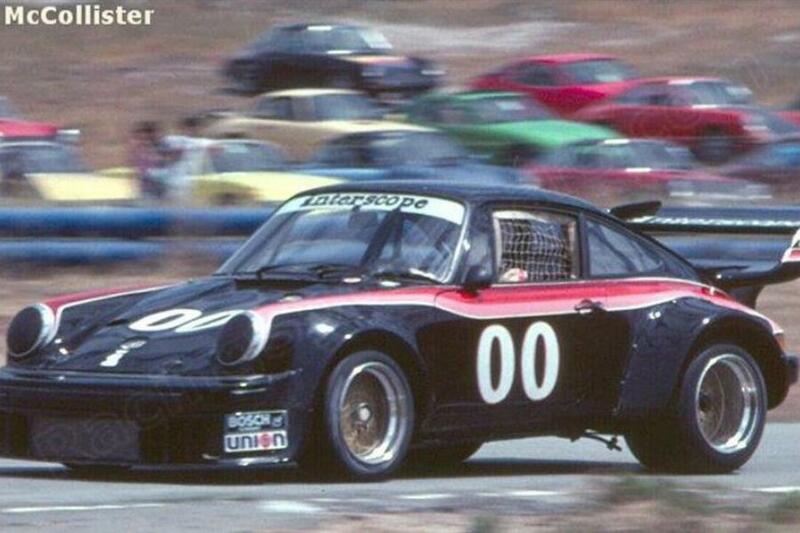 In the US the 934 was accepted in the SCCA Trans-Am in 1976 but not into IMSA until the following season. 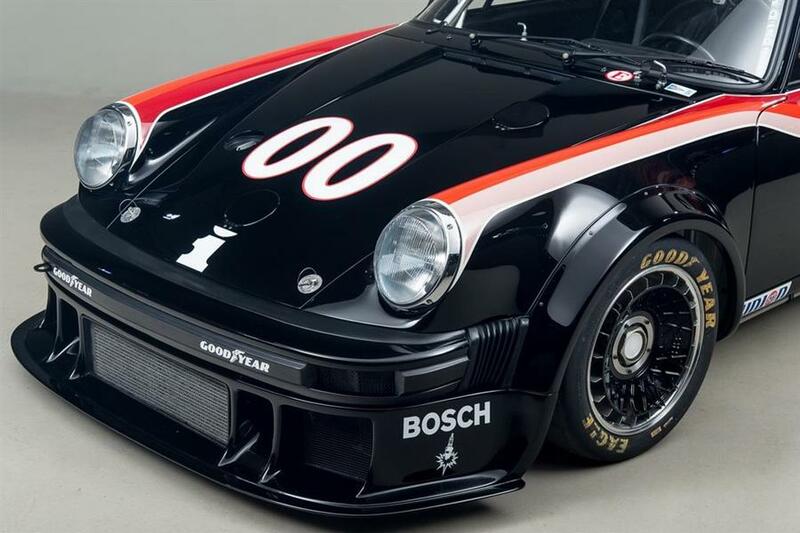 The 1977 IMSA rules allowed the 934 to be even more heavily modified using some 935 parts. 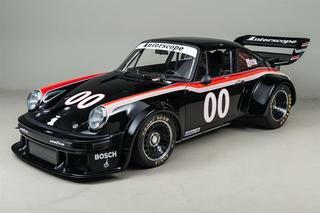 The Porsche factory created an IMSA only version called the 934-1/2 late in 1976. 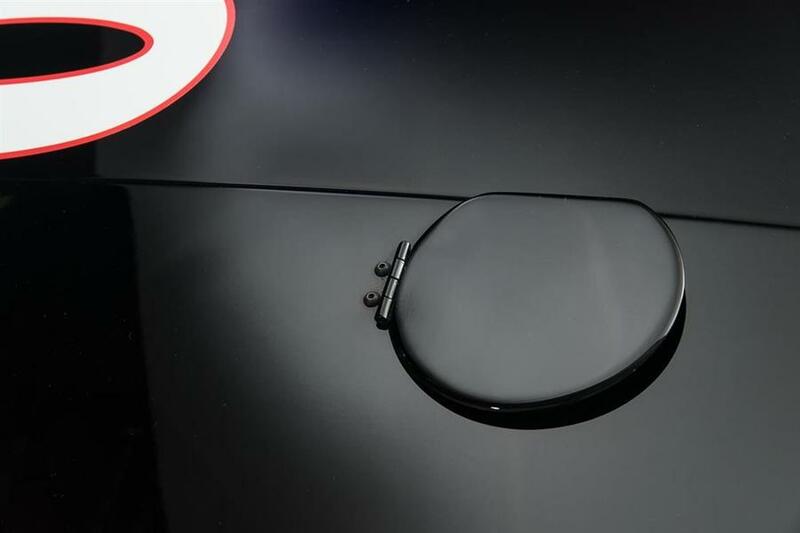 The first race of the IMSA season is always the 24 Hours of Daytona held in January so the factory was under great pressure to get cars done and delivered in time. 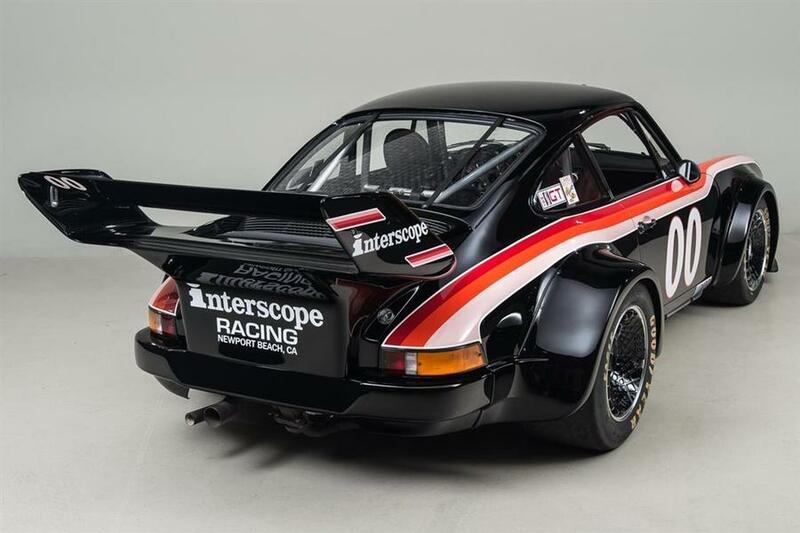 Ted Field's Interscope Racing Team had ordered two new 934.5s for the coming season but they were not going to be ready until later in the year. 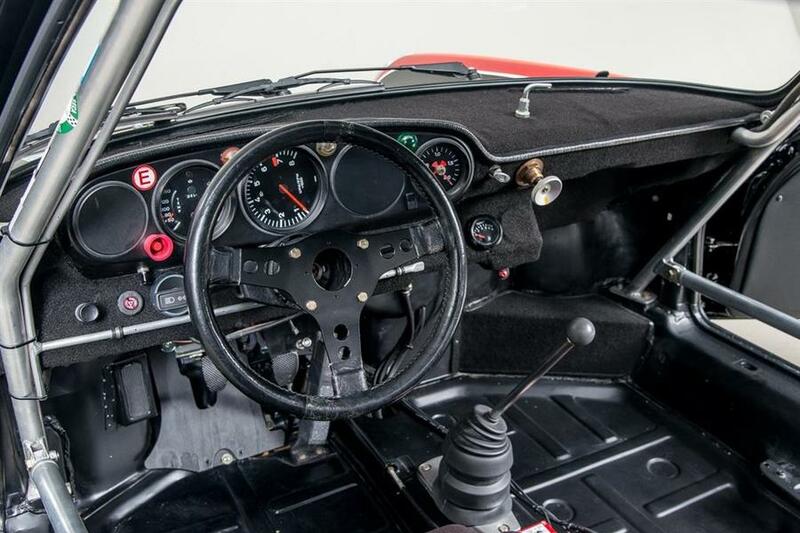 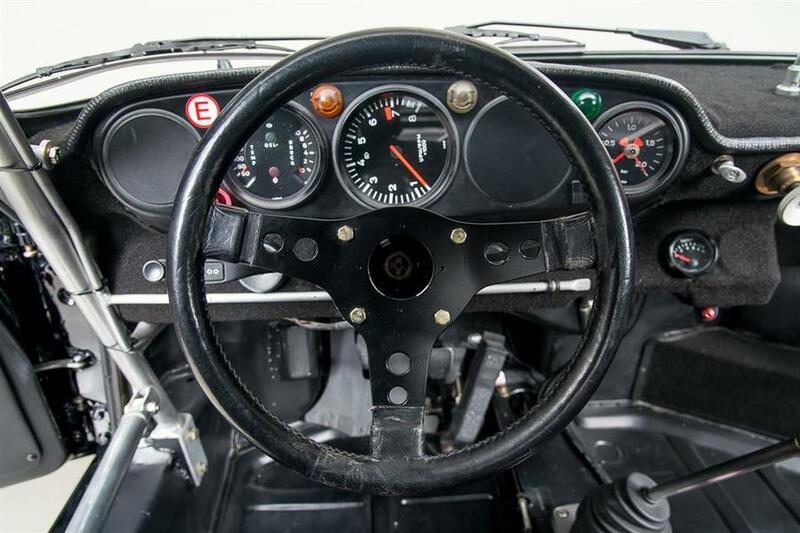 Under pressure from Field to get the car as soon as possible, the factory took this car, the last 934, originally slated for Vasek Polak, and converted it to full 934.5 specification at the Porsche factory. 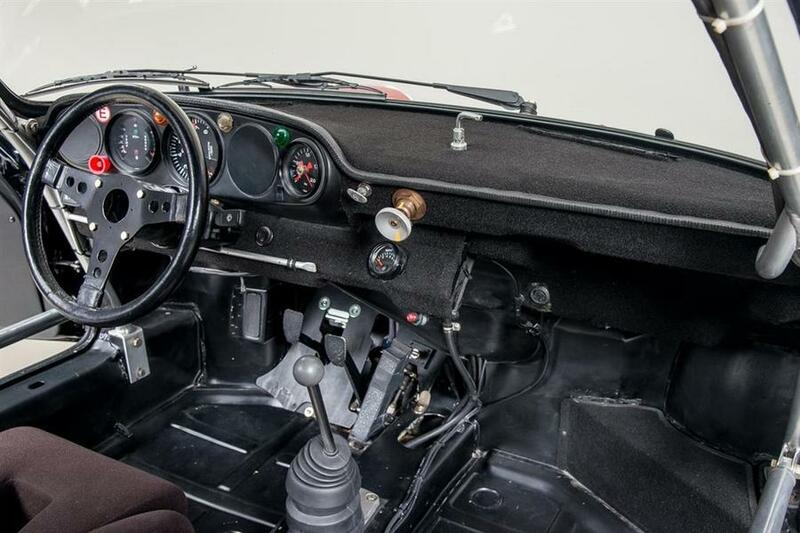 0180, in turn, became the prototype 934.5. 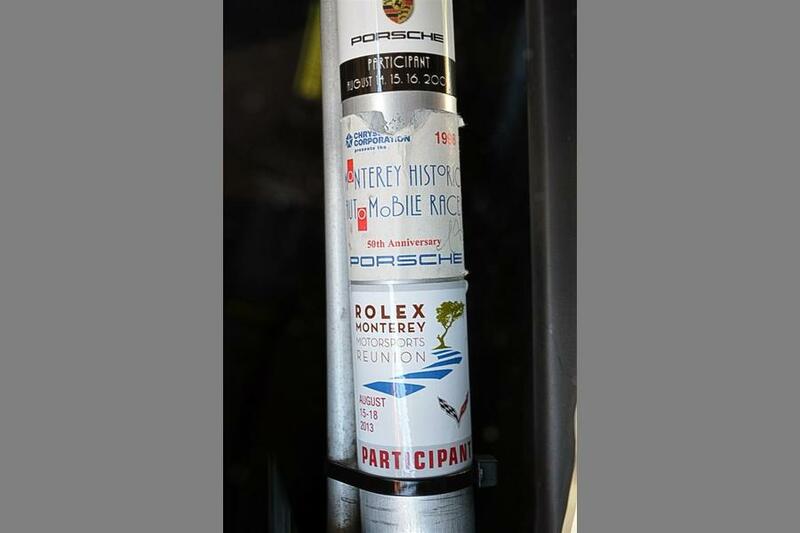 While it missed the 24 Hours of Daytona, it did make the next most important endurance race in the U.S., the 12 Hours of Sebring, by delivering the car from the Porsche factory by air. 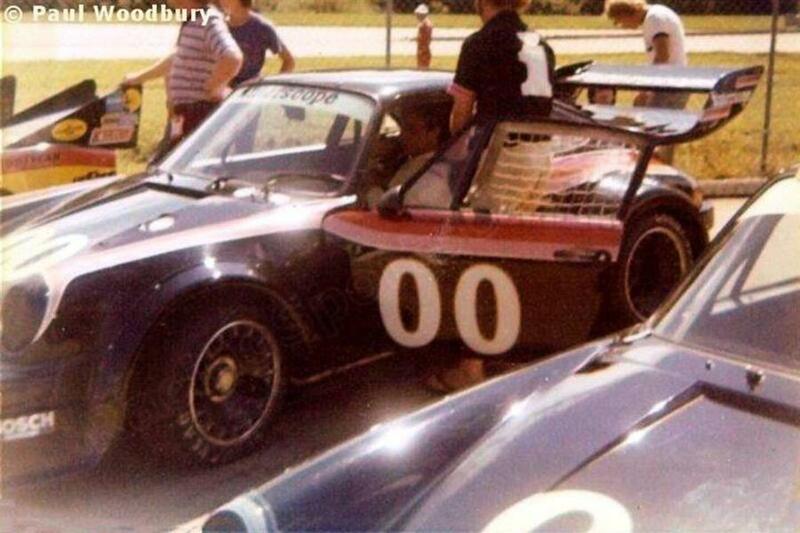 Future owner Tom McIntyre was there that day at Sebring, and witnessed first hand the car, still in factory white, arrive at the airport, being taken off the plane by a catering truck, and then transported directly to the track. 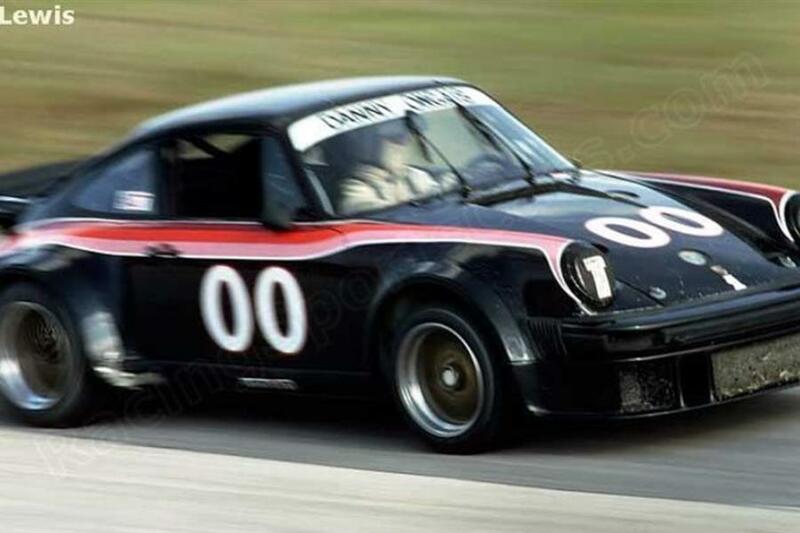 After making numbers out of some spare vinyl, the team got in one night practice, and the very next day Danny Ongais qualified 0180 on the front row along side Peter Gregg. 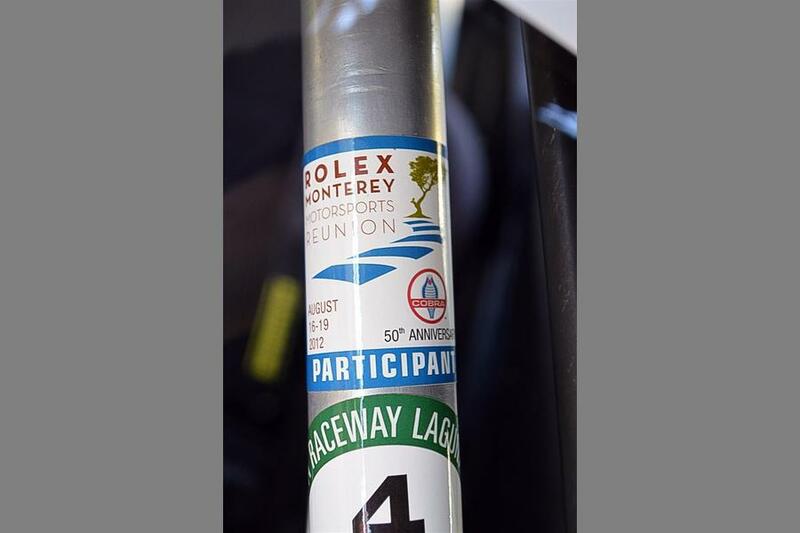 For the 12 hours it would be driven by Ongais, Field, and Hurley Haywood to 5th place overall. 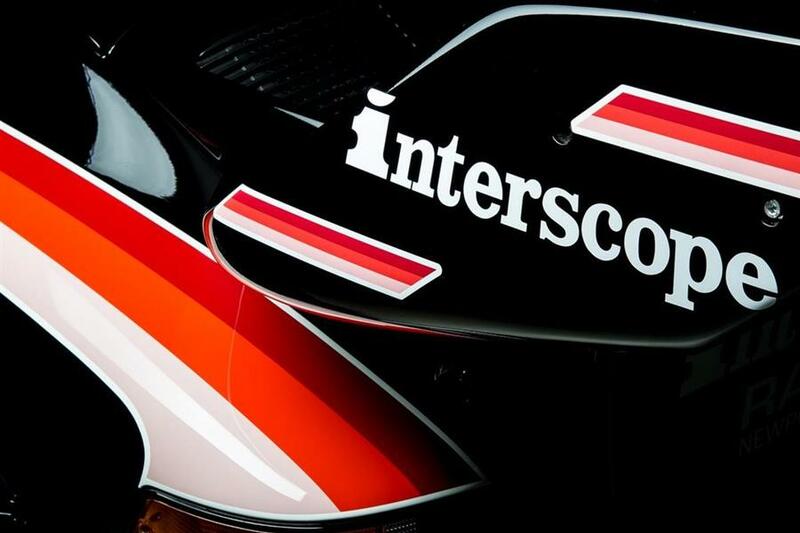 After Sebring it was painted the signature colors of Interscope: black with pink, orange, and terracotta stripes. 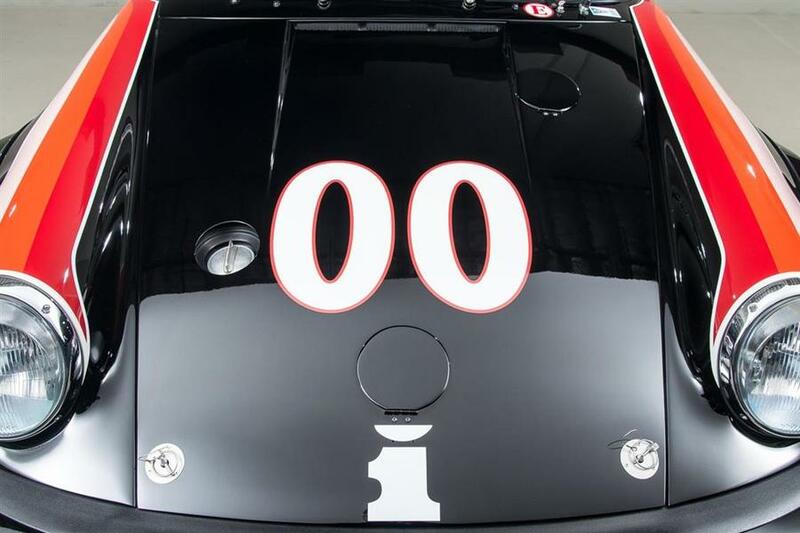 Using race number 00 for the remainder of the year it racked up several top ten finishes including a win at Brainerd. 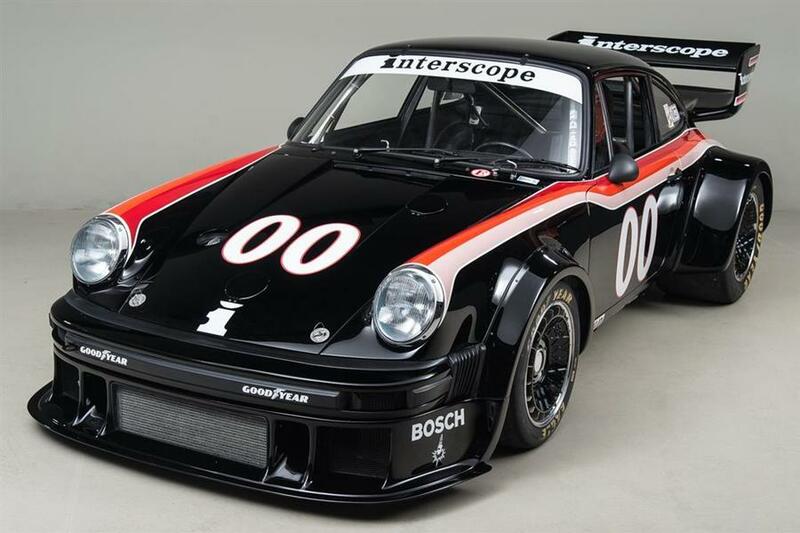 For 1978 Interscope ordered two brand new 935s, and sold this 934.5 to Hal Shaw Racing. 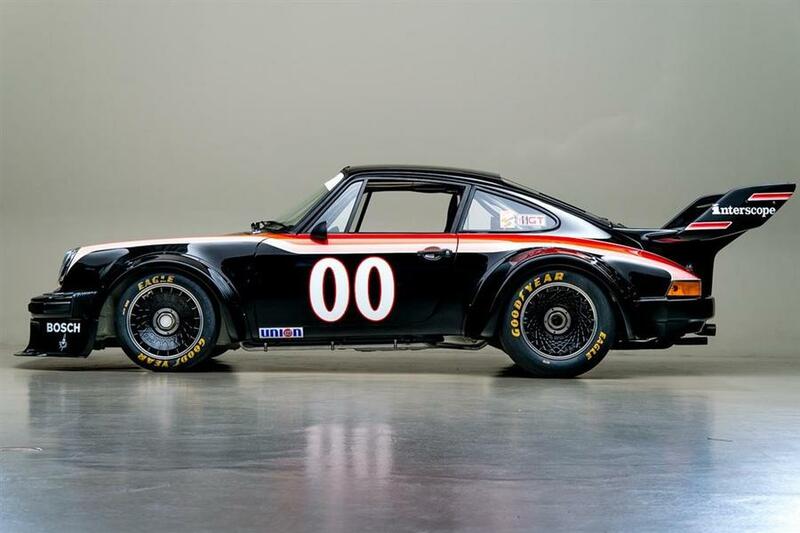 In order to remain competitive Jim Busby and Glen Blakely converted it to full 935 specifications for the 1978 season. 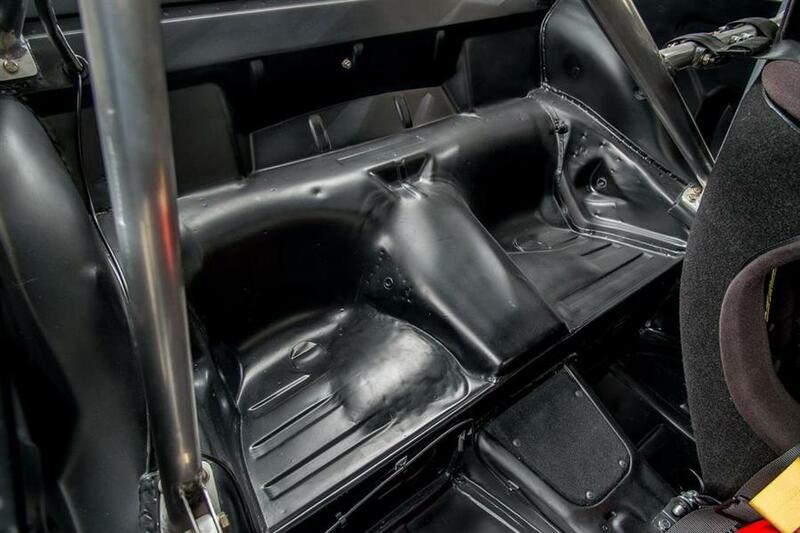 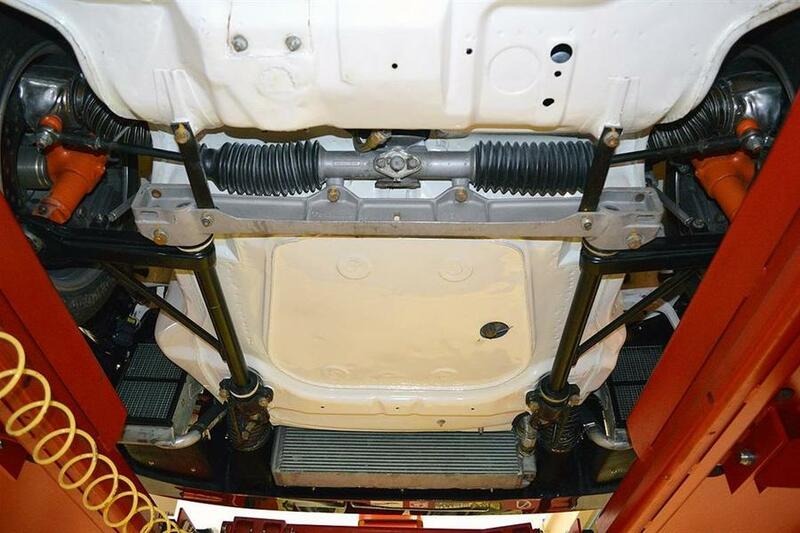 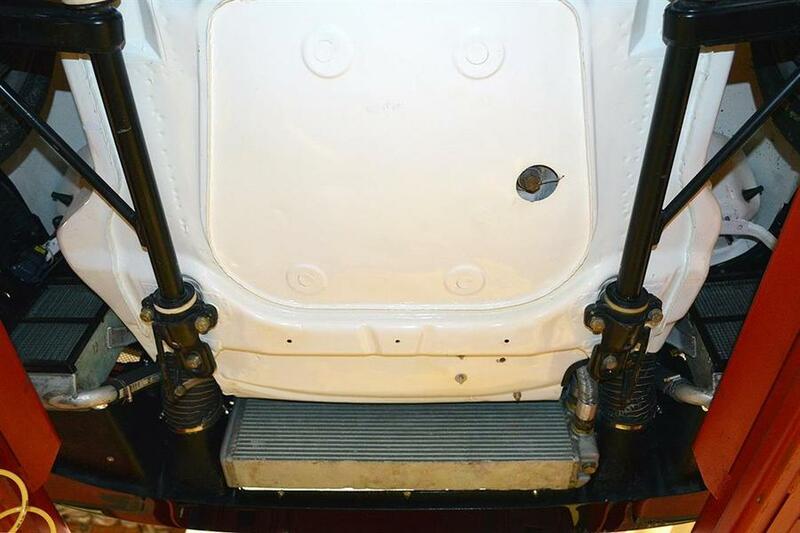 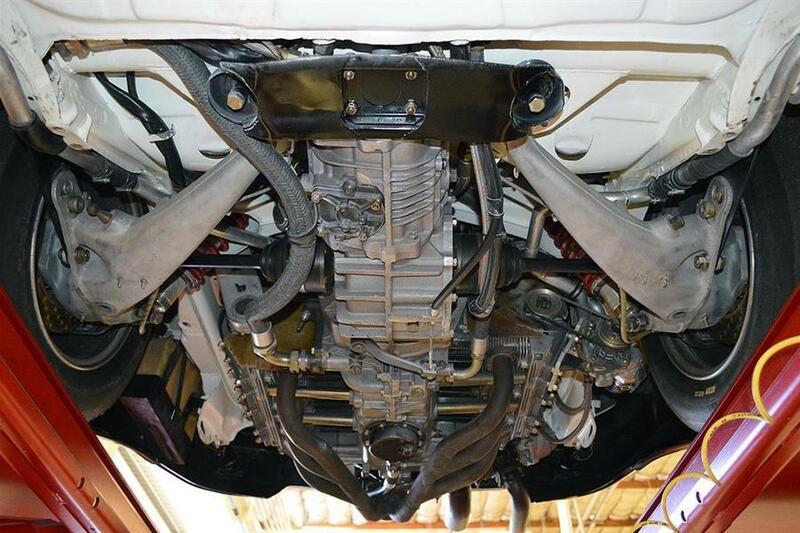 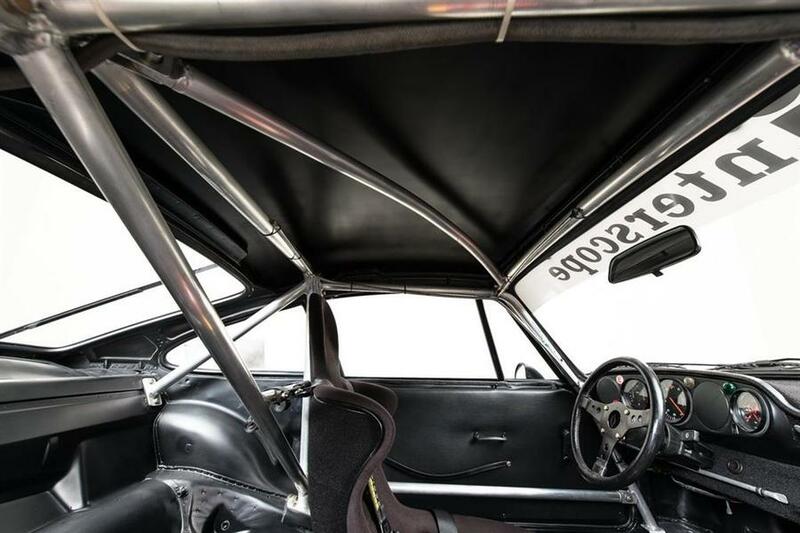 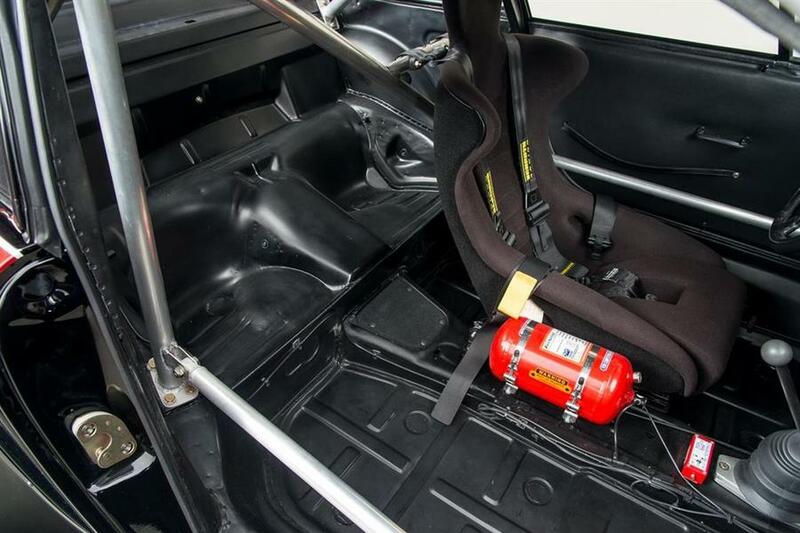 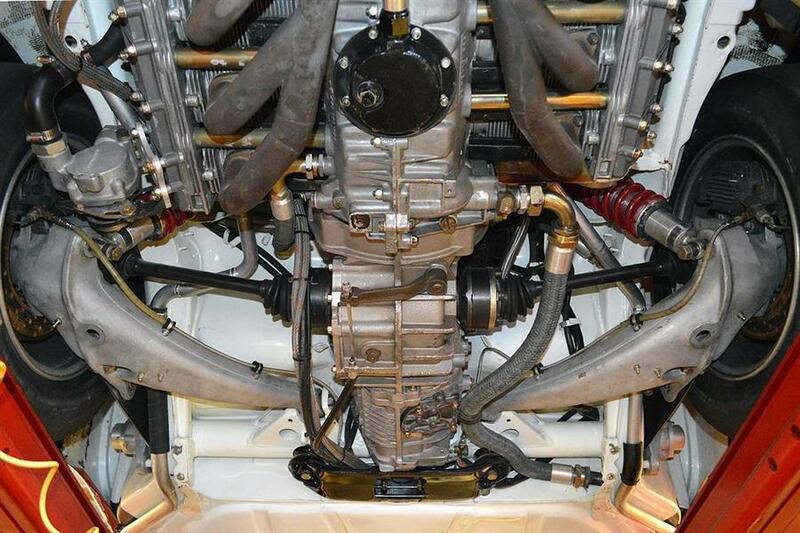 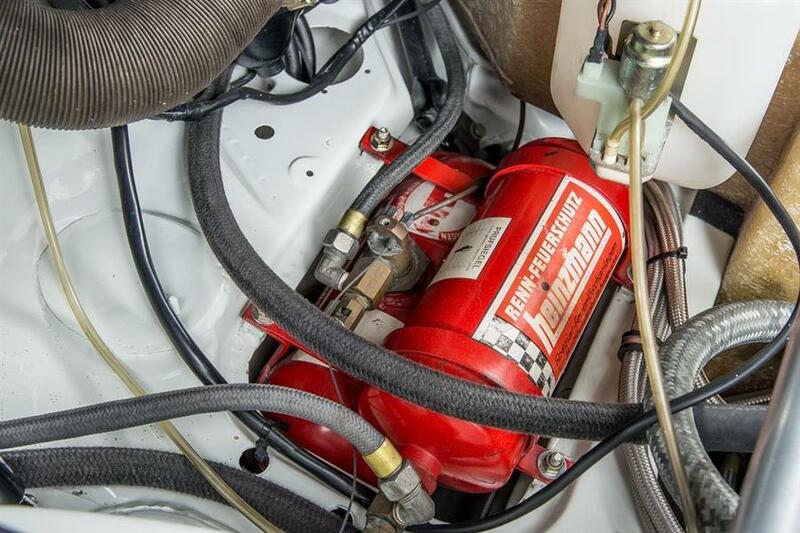 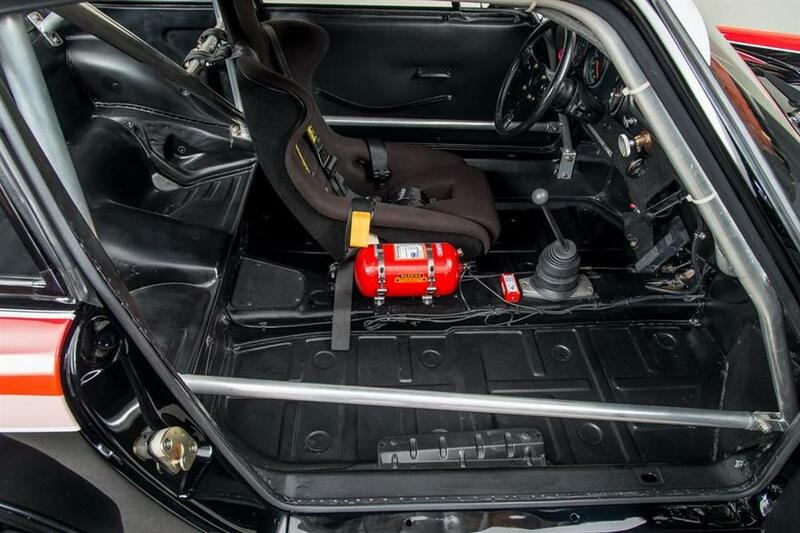 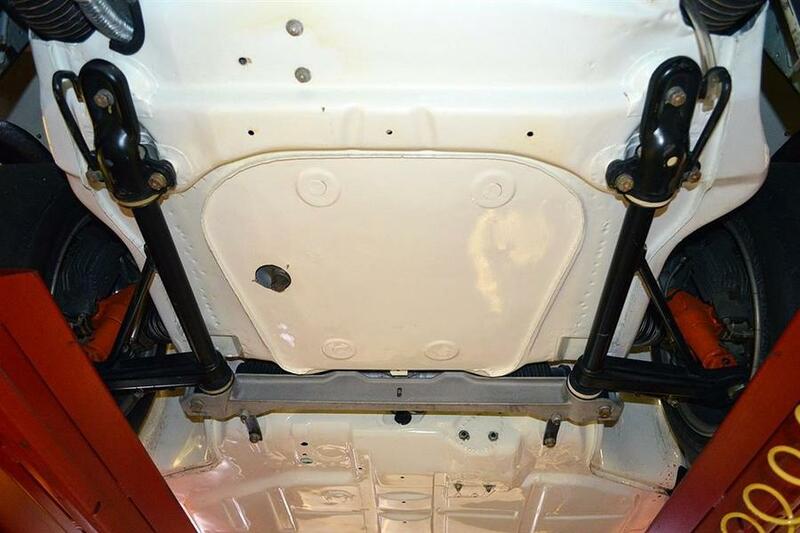 They changed the intake system, fuel injection pump, installed a steel roll cage and all the 935 fiberglass body panels. 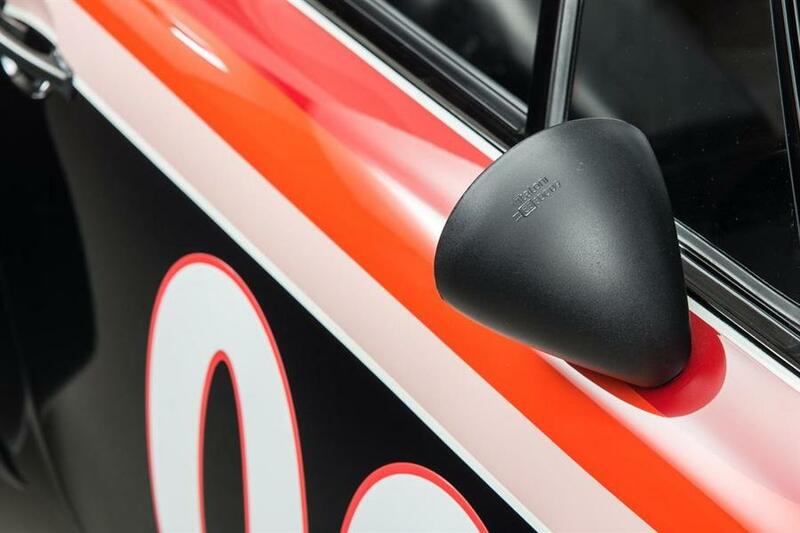 The team would compete with the car for the next two years as No. 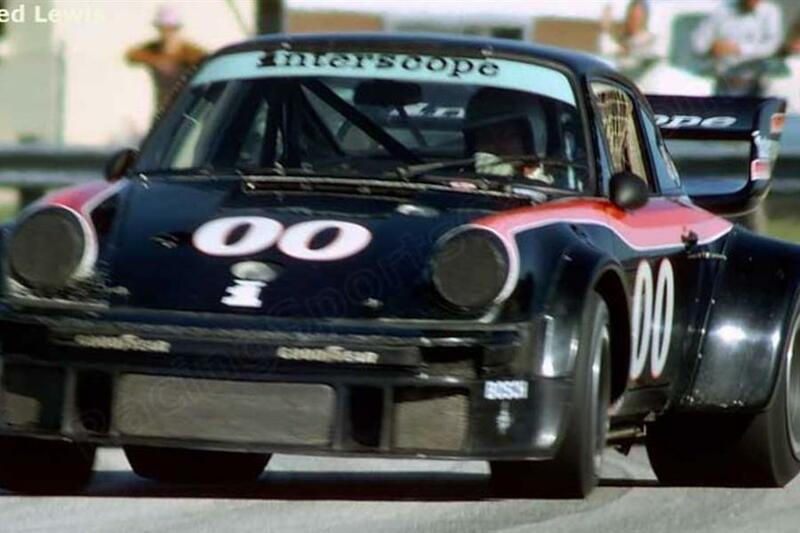 13 in selected IMSA and Trans-Am races achieving several top ten finishes. 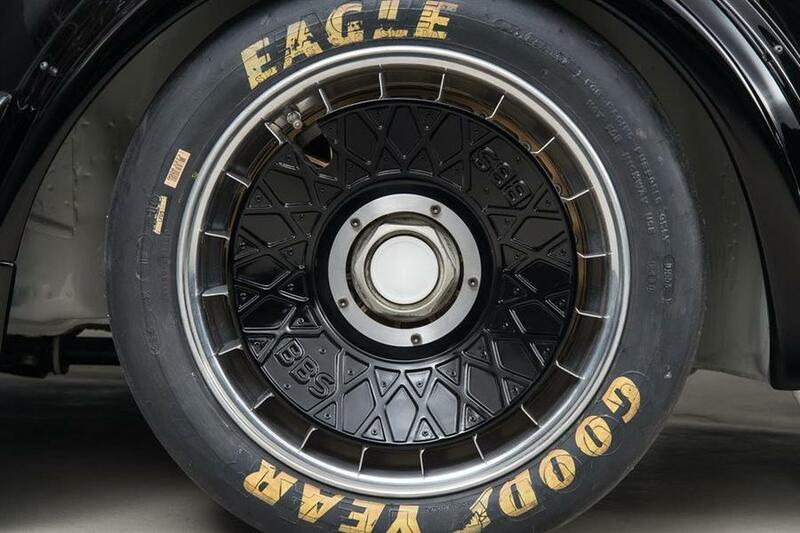 After its final race at the 1979 Trans-Am at Watkins Glenn it was retired from active competition, and returned to Shaw's shop in California where it sat for the next few years. 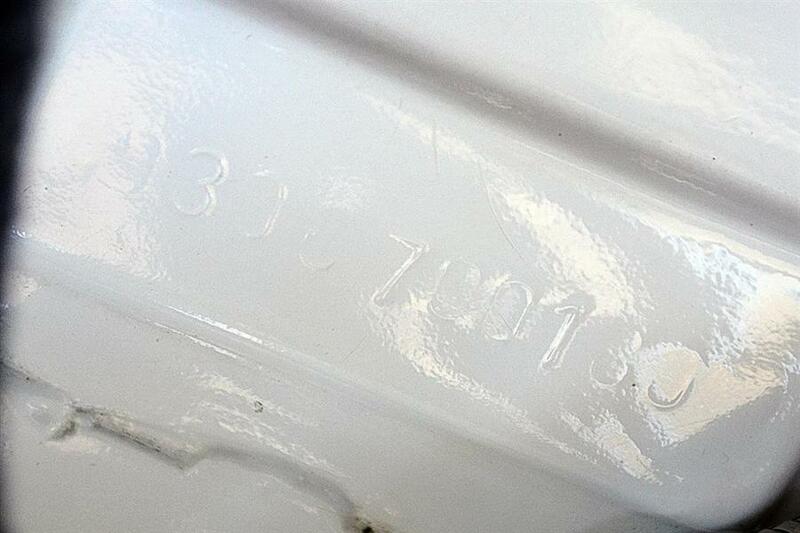 Tom McIntyre purchased the car from the Shaw Estate in November 1982. 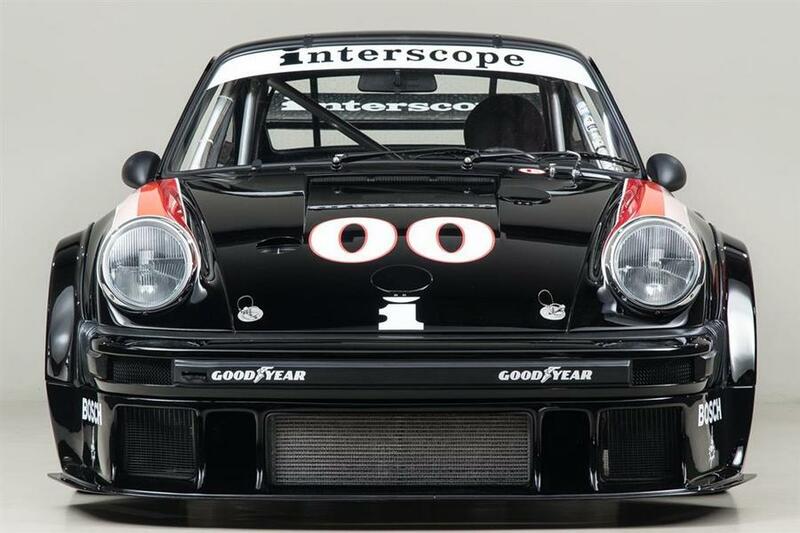 He drove the car twice in Los Angeles Porsche club time trials before a full restoration was undertaken in the early 90s. 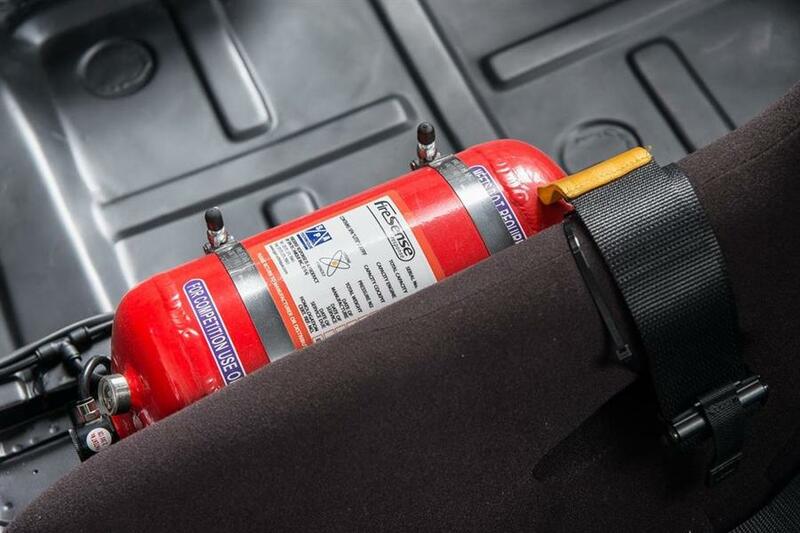 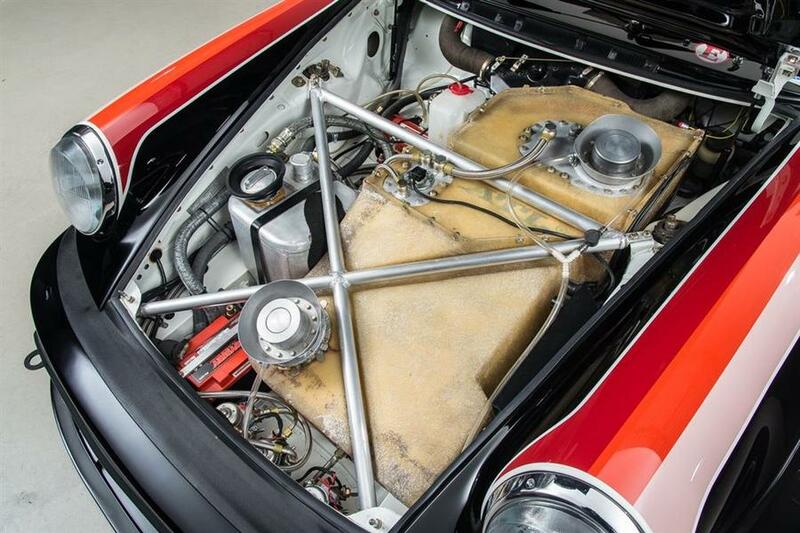 Over the next five years, the car would slowly be dismantled and carefully restored to its former glory. 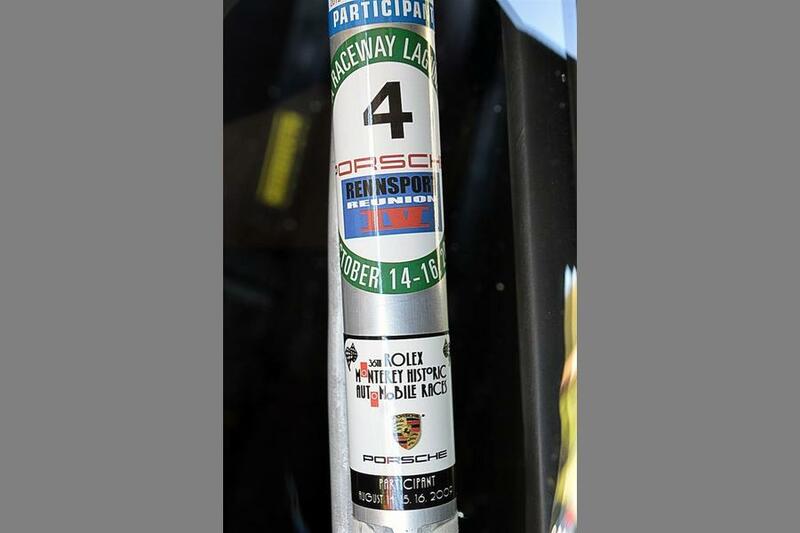 McIntyre wanted it to look exactly the way it was for its first race at Sebring when Ongais/Field/Haywood finished 5th Overall. 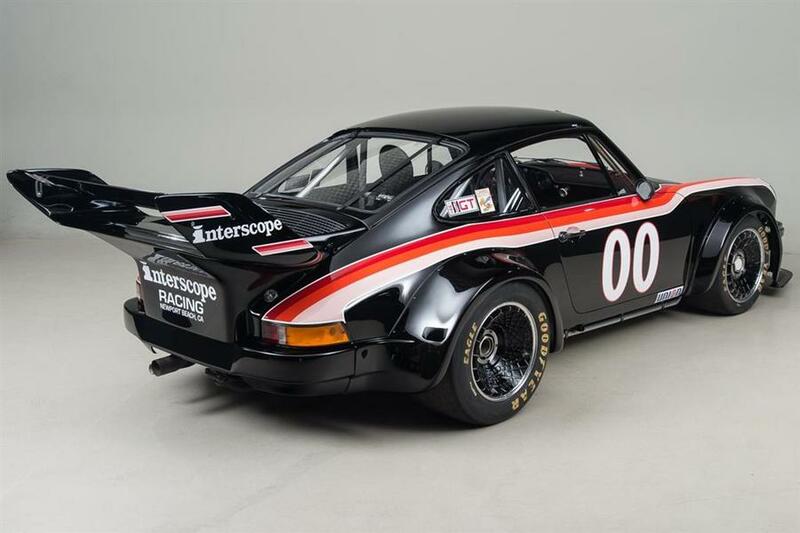 After a beautiful restoration job done by former 911 racers, Jim Torres and Jim Borsos, the car was accepted for the 25th anniversary Monterey Historics in 1998, where Porsche was the featured marque. 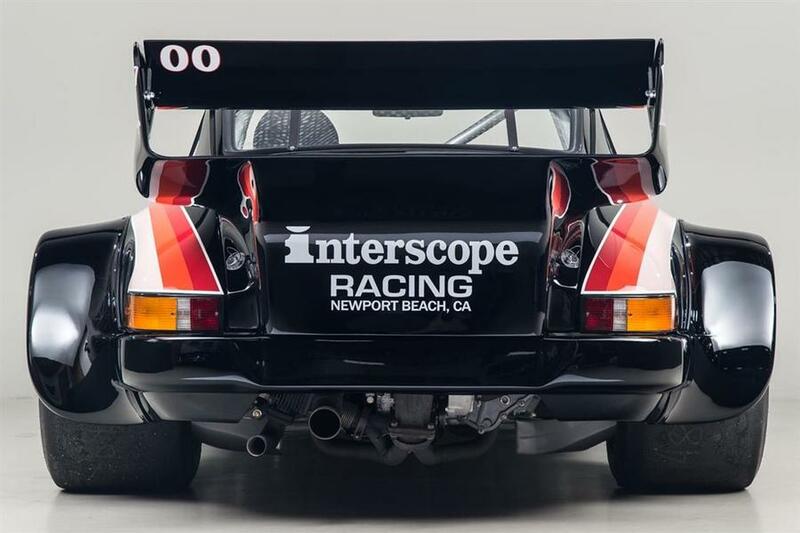 Since 1998 the 934.5 has returned to the Monterey Historics multiple times, including an appearance at Rennsport IV. 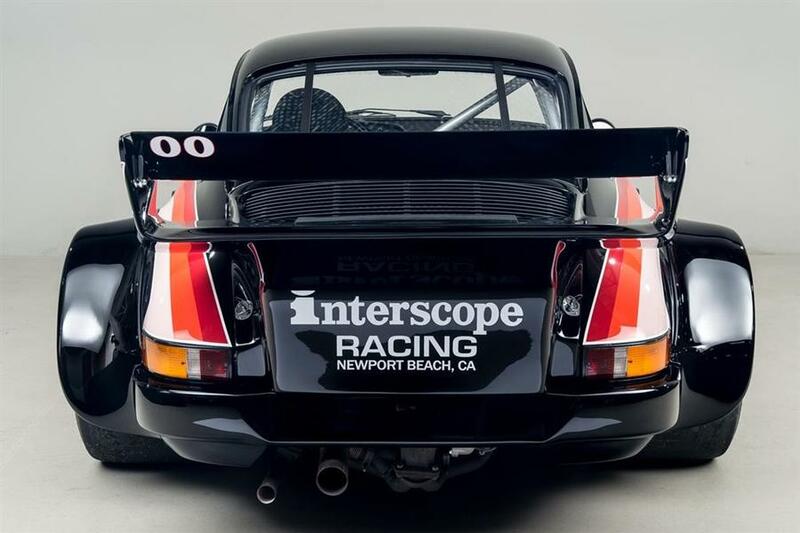 Since arriving at Canepa 0180 has undergone a complete cosmetic restoration, returning the car to its menacing black Interscope livery. 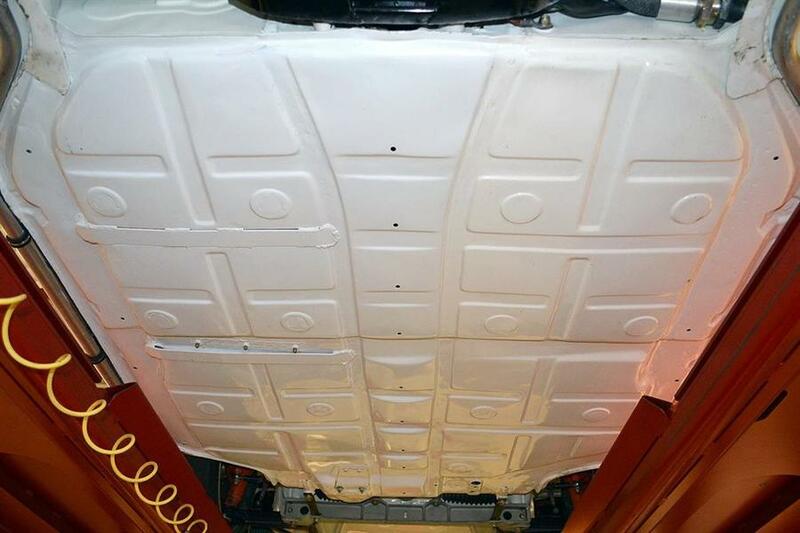 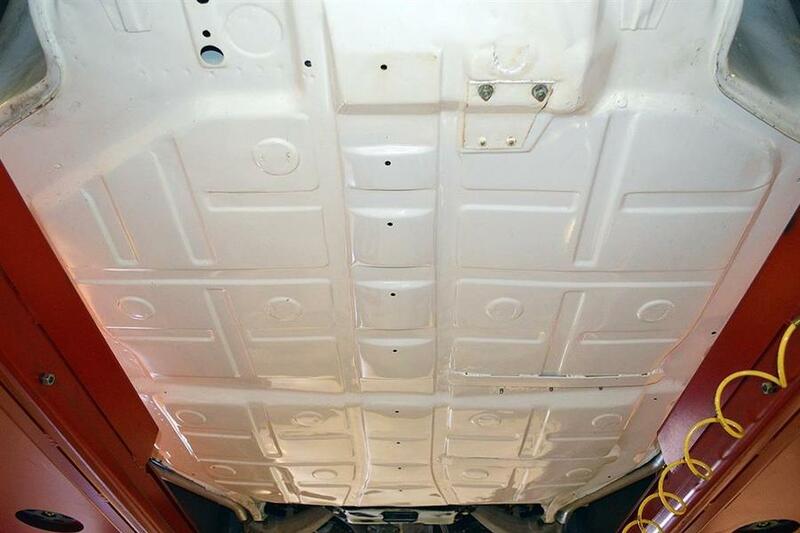 Every detail was addressed to ensure a period correct restoration. 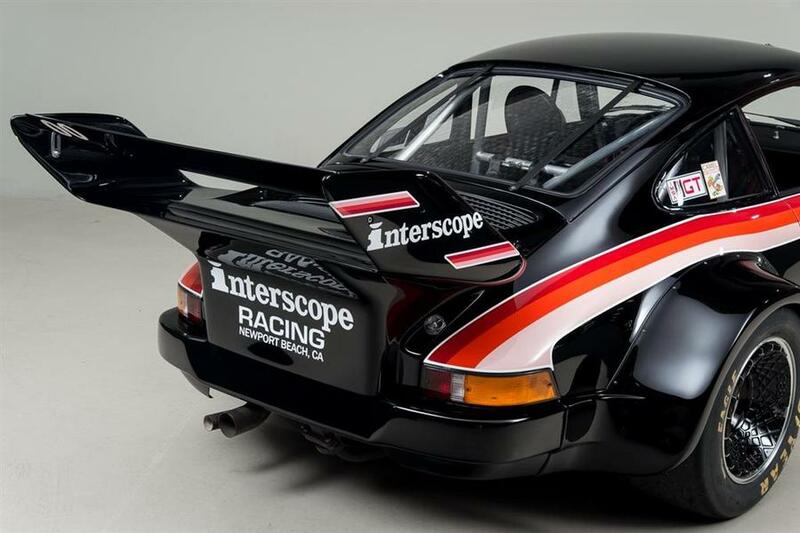 The car was painted as it would have been in the day, including the signature Interscope stripes. 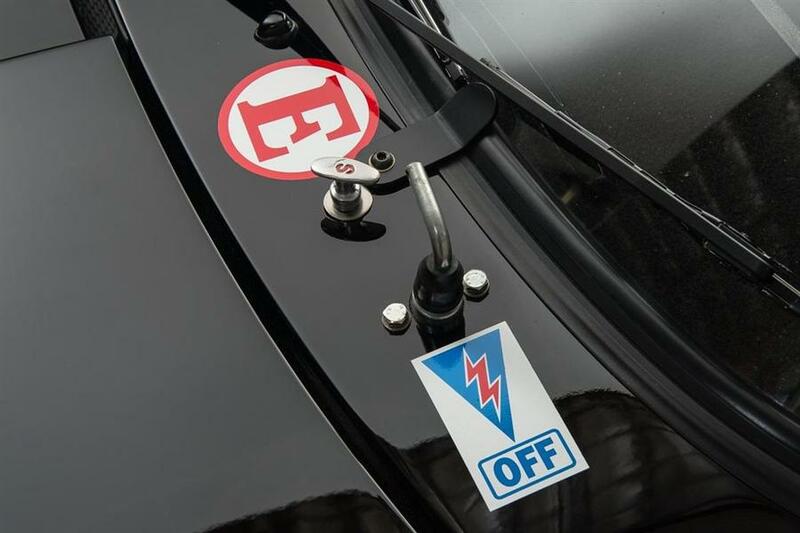 All of the graphics and decals were reproduced to exacting standards. 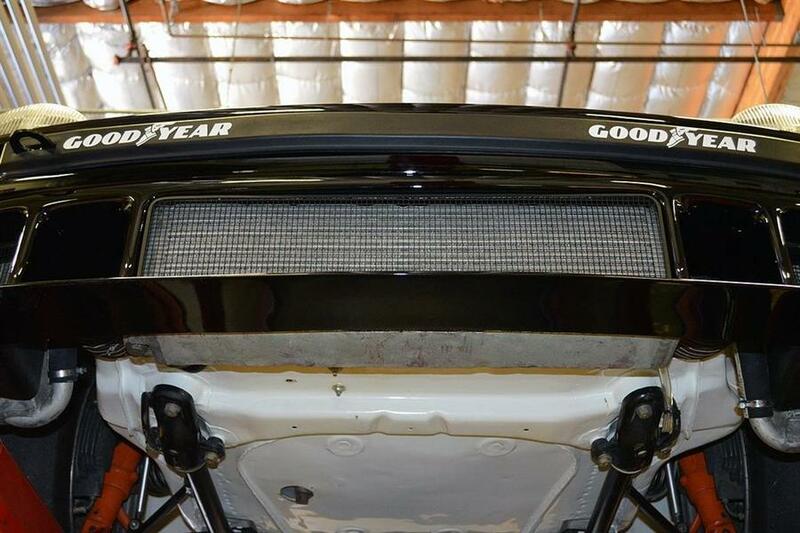 The front windshield tabs and rear windshield strips were reinstalled. 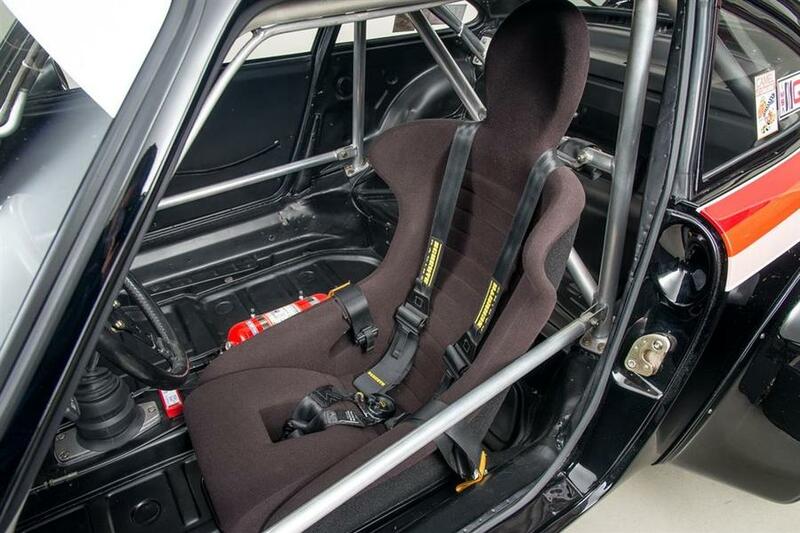 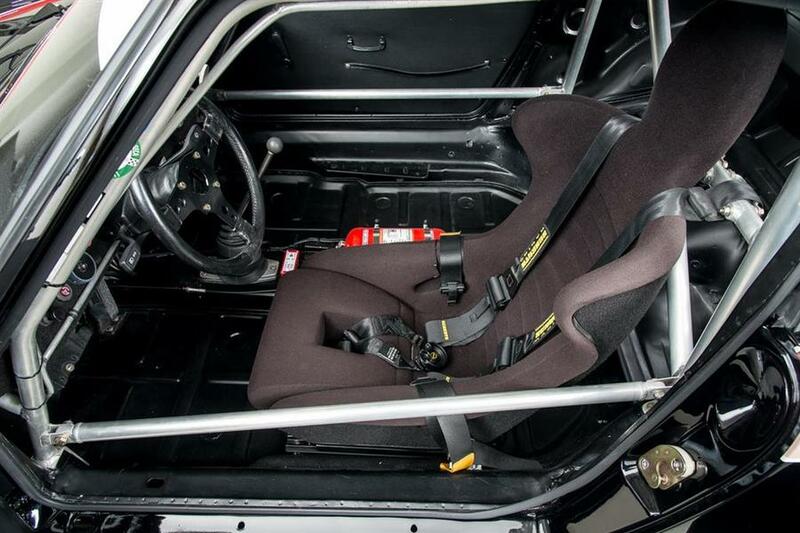 A correct period racing seat was sourced and fitted. 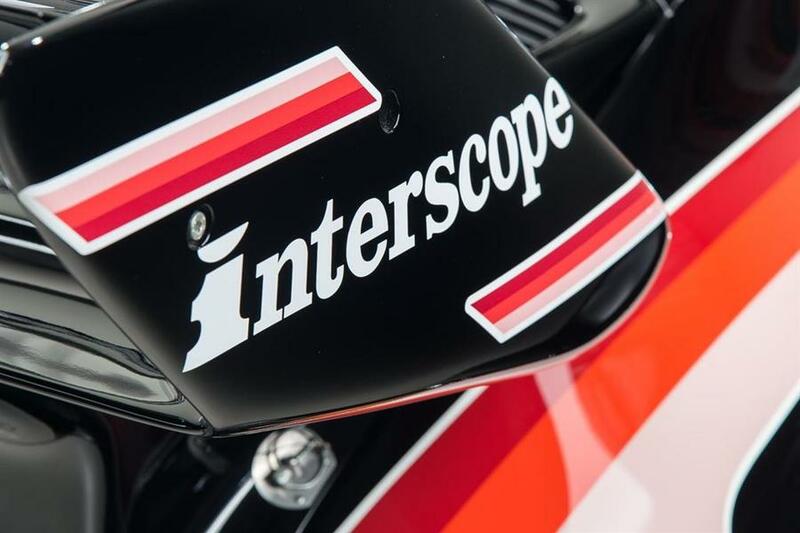 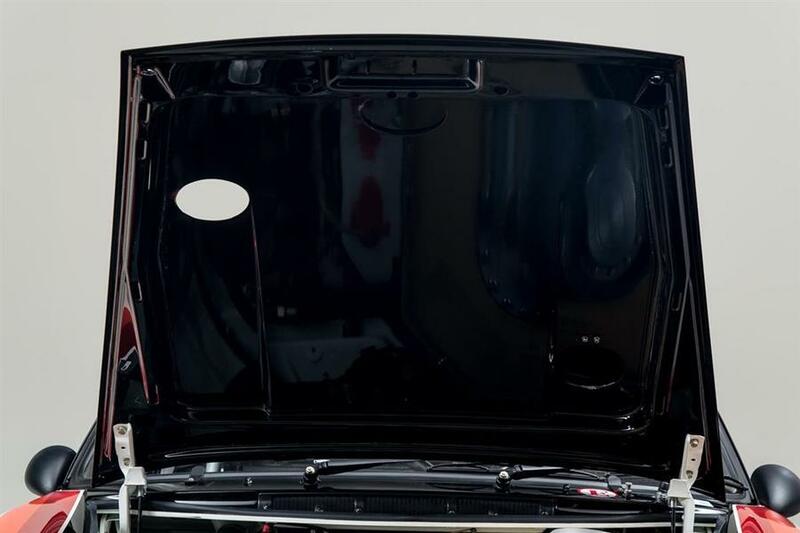 Even the removal of the front turn signal lamps was reproduced as Interscope did in the day. 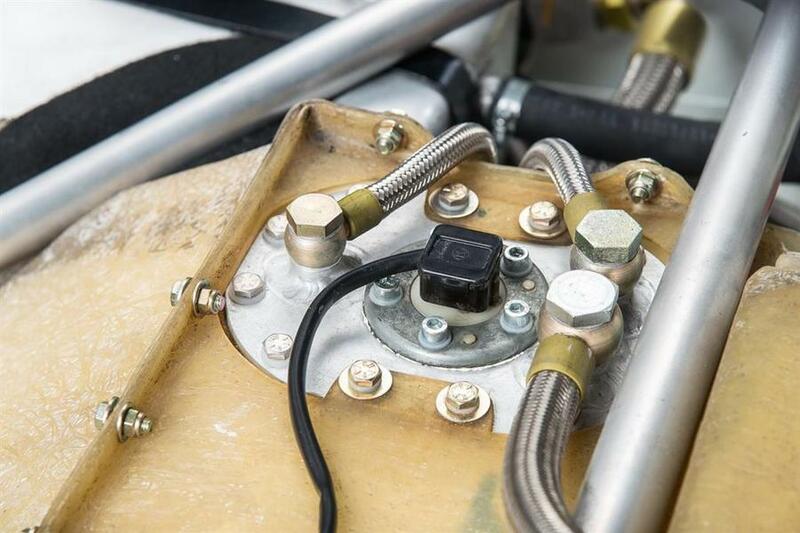 They replaced the lamps with screens to increase the airflow to the front oil coolers, which was done to cope with the increased heat from Danny Ongais relentlessly turning up the boost. 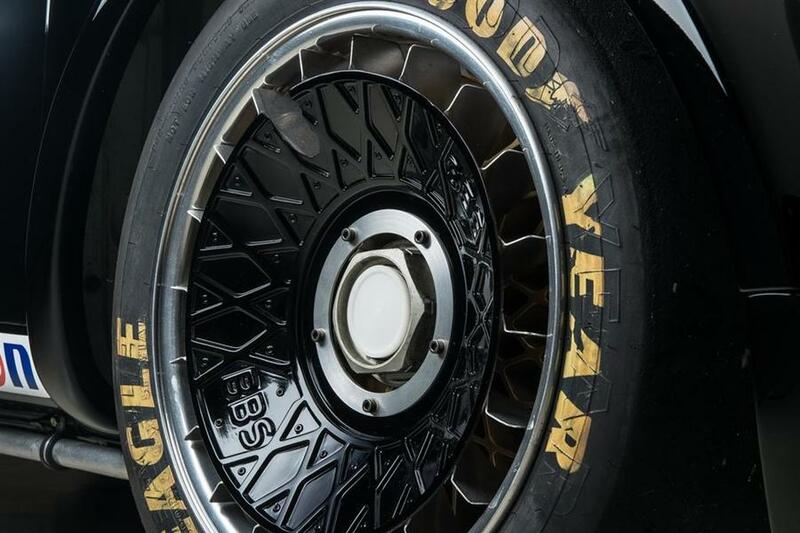 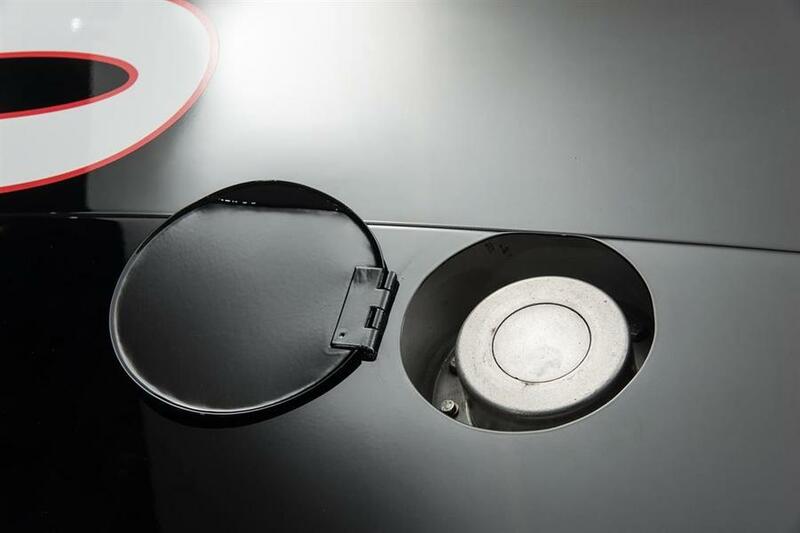 The final touch was the refitting of the BBS wheel fans, which was a signature Porsche look. 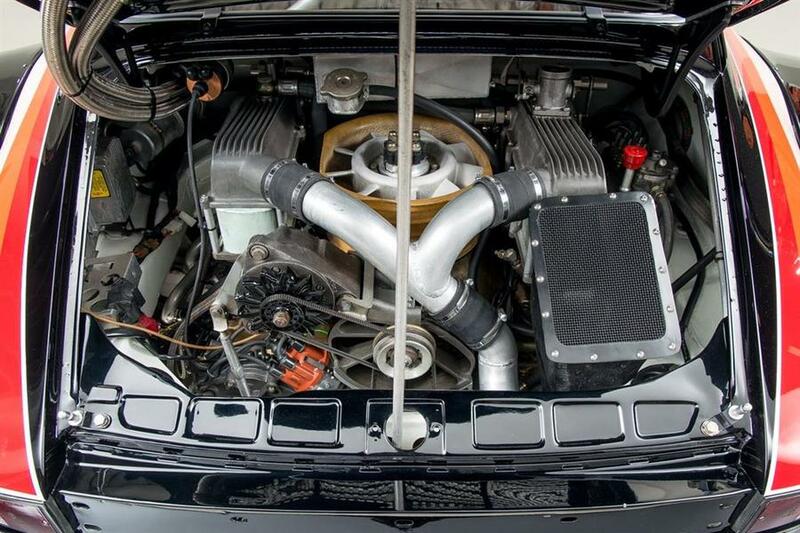 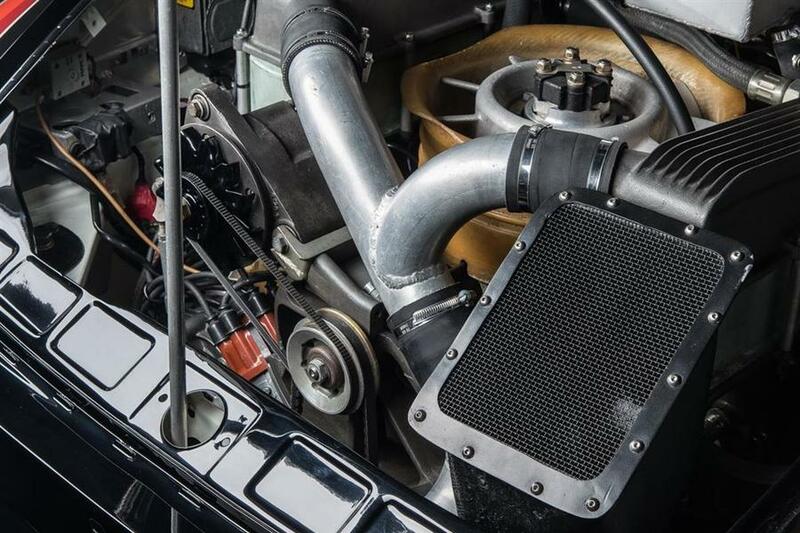 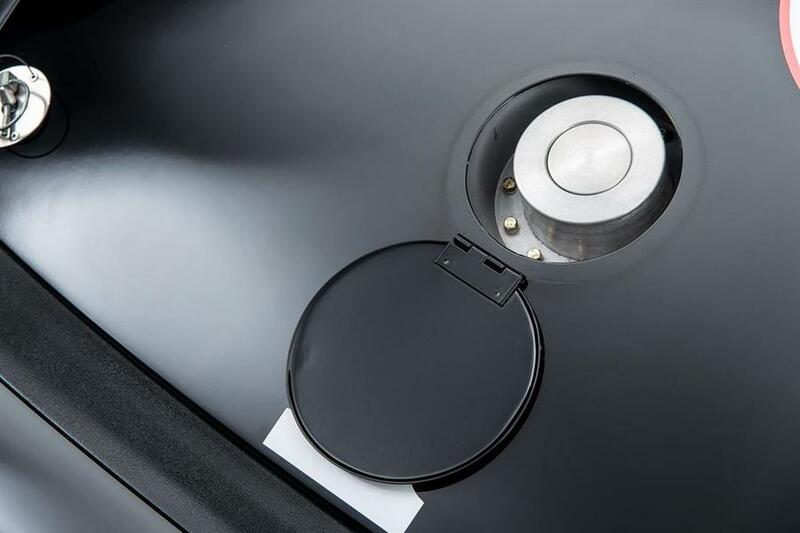 930 670 0180 is fitted with a correct three-liter flat-six engine with a period factory Andial case, single KKK turbocharger, intercooler, and mechanical fuel injection. 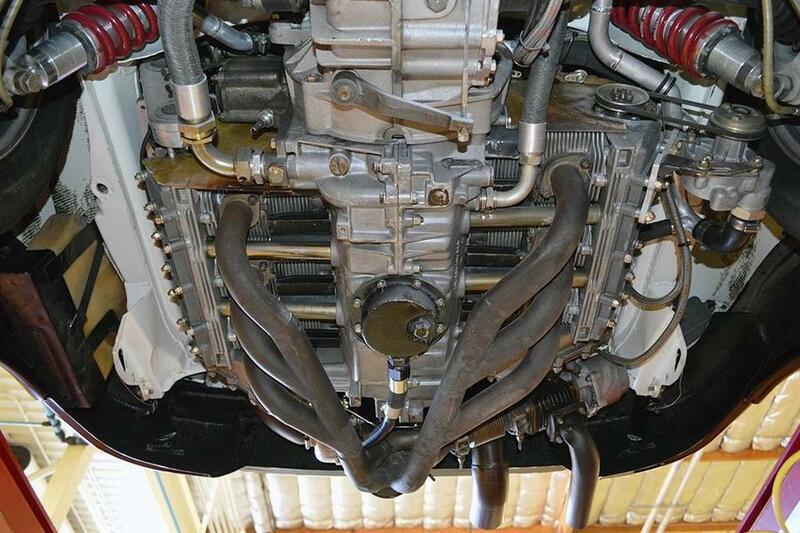 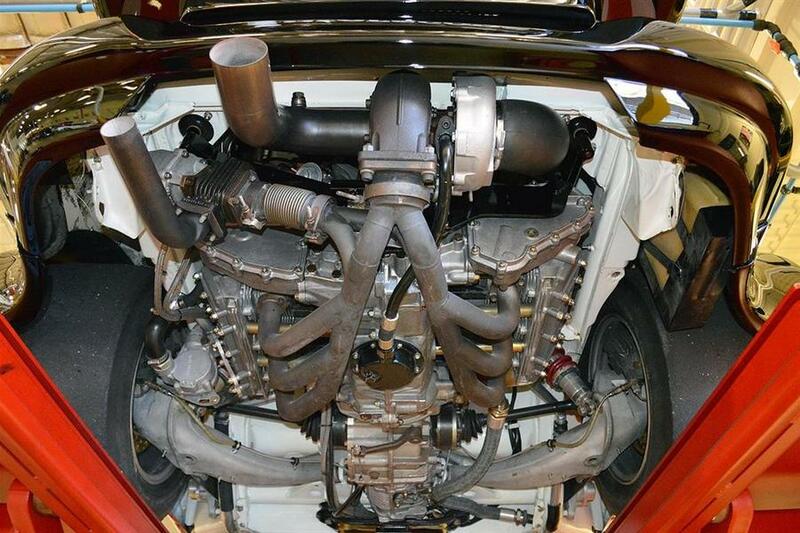 The engine produces nearly 600 horsepower and 435 foot-pounds of torque, depending on turbo boost. 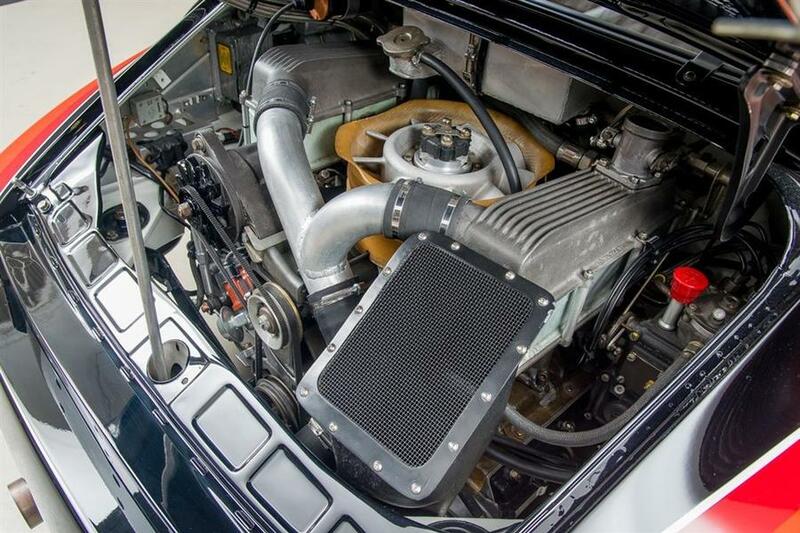 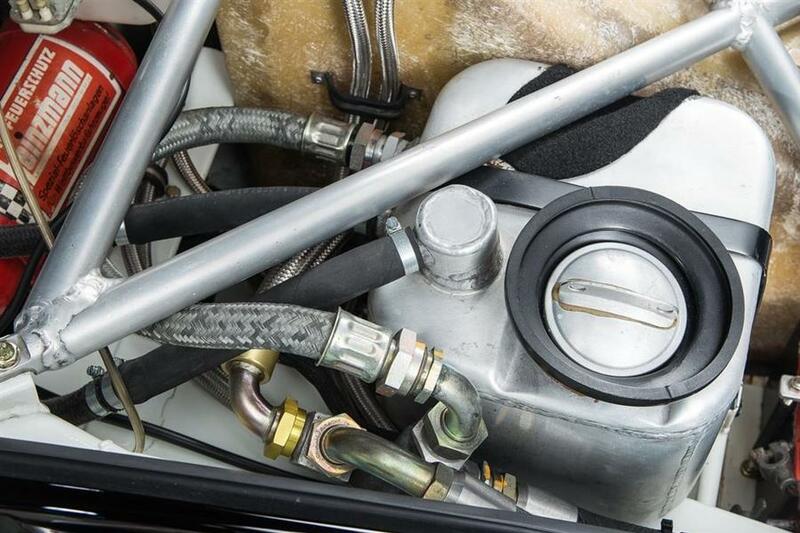 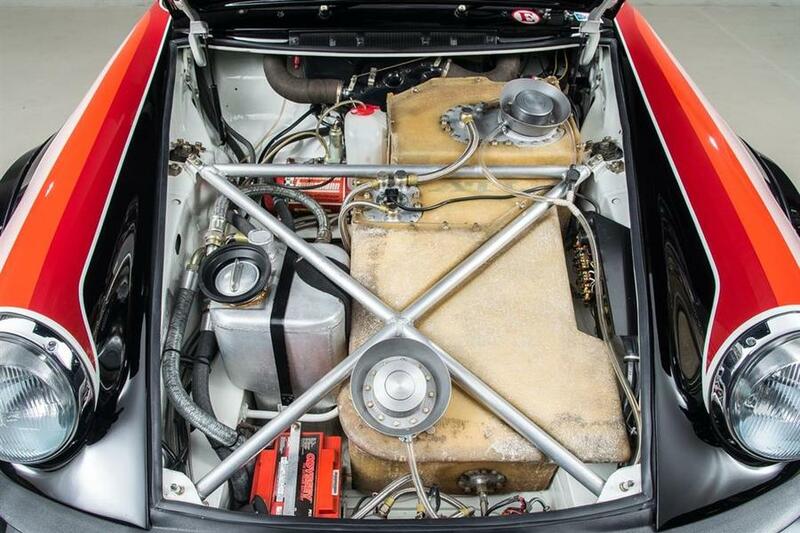 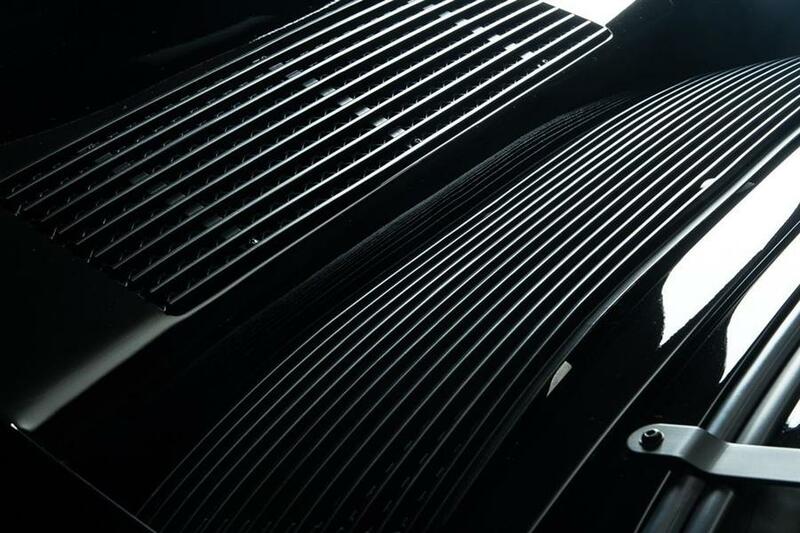 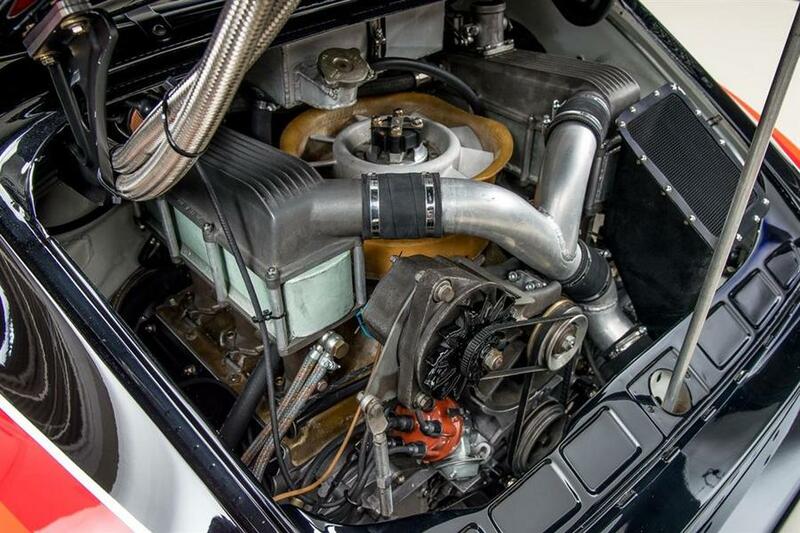 Power is transmitted through a 930 four-speed transaxle. 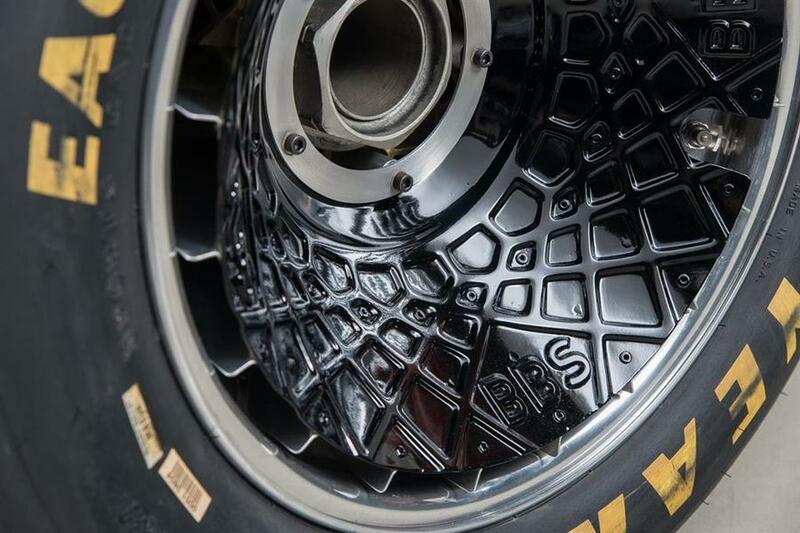 The wheels are lightweight, 16-inch diameter BBS alloys and tires are 11.5-inches wide in the front and 14-inches wide in the rear. 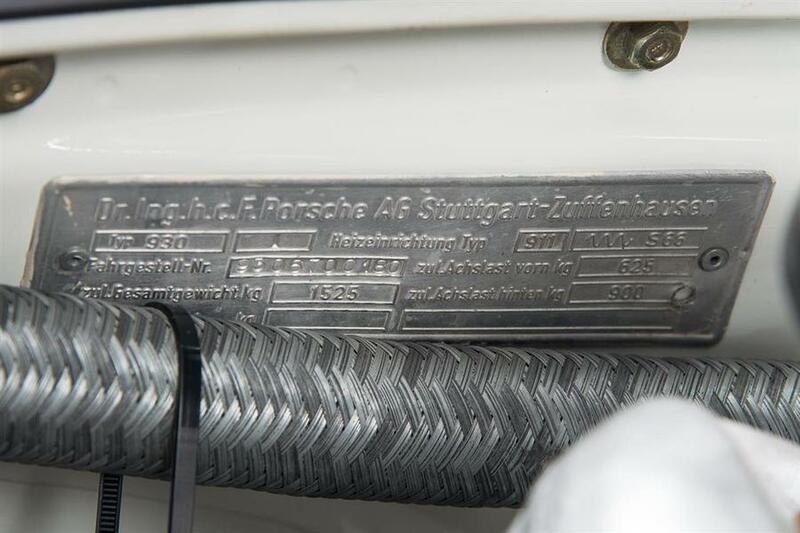 Weight is 2489 lbs.